As we wrote last week, the road to federal legalization may not be clear, but seems to be gaining momentum. Legalization would be a monumental win not only for cannabis culture, but also the future of medicinal alternatives. As long as pot is labeled a Schedule I drug, cannabis research is a difficult field to traverse. But last week's news of Greenwich Biosciences' New Drug Application submission to the Food and Drug Administration is a major step forward. The proxy company for London's GW Pharmaceuticals introduced Epidiolex, a cannabis compound cannabidiol (CBD) for seizures related to epilepsy. More specifically, Epidiolex looks to help with Lennox-Gastaut syndrome and Dravet syndrome, two highly treatment-resistant forms of childhood-onset epilepsy, with the company running additional tests to see if Epidiolex could help with other disorders, such as infantile spasms. 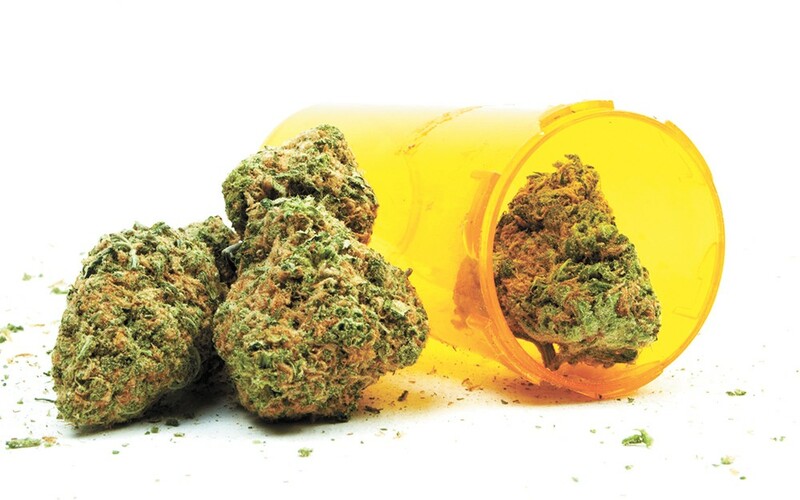 The relationship between cannabis and modern medicine is reaching a tipping point. Many in the CBD community fear that the integration of Epidiolex spells future impediments to and railroading of CBD development by the FDA and Big Pharma. The application for the alternative seizure medicine comes at the same time the FDA delivered a massive warning to four hemp firms last week for claiming their products treat or cure cancer. "We don't let companies market products that deliberately prey on sick people with baseless claims that their substance can shrink or cure cancer and we're not going to look the other way on enforcing these principles when it comes to marijuana-containing products," FDA Commissioner Dr. Scott Gottlieb said in the written statement. In the warning letter, the FDA cited Epidiolex's New Drug Application as a basis for the rejection of the firms' CBD products' classification as dietary supplements. The conflation of alternative option with miracle drug seems to be a glaring problem with medicinal marijuana entering the mainstream. Columnist Dr. Dave Hepburn wrote on Leafly that the oversimplification of "cannabis cures cancer" only emboldens conservatives who stigmatize the movement and "give the appearance of Rastafarian snake oil." And going through the FDA helps destigmatize the medicinal aspects of the drug while retaining its easy availability in states that have legalized medical marijuana.